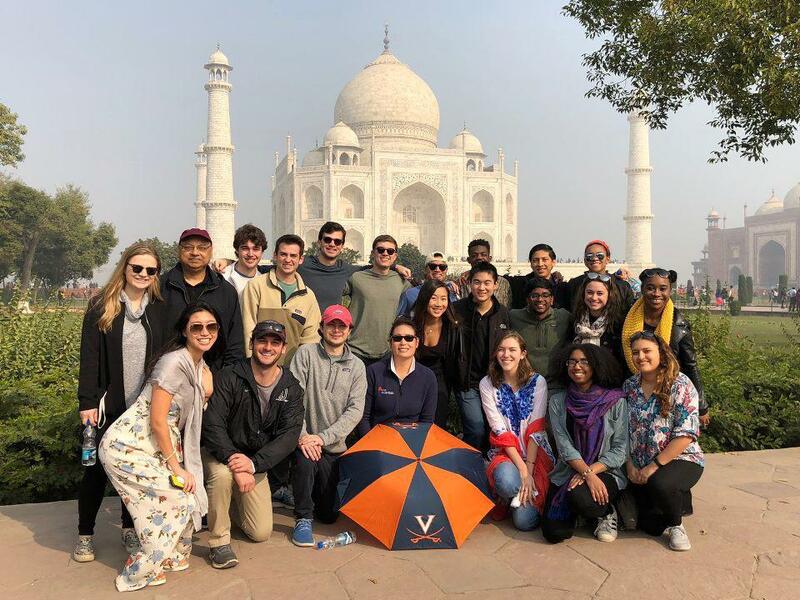 The University of Virginia’s study-abroad January term courses that just wrapped up were anything but a walk on the beach – even if some of them did visit one. 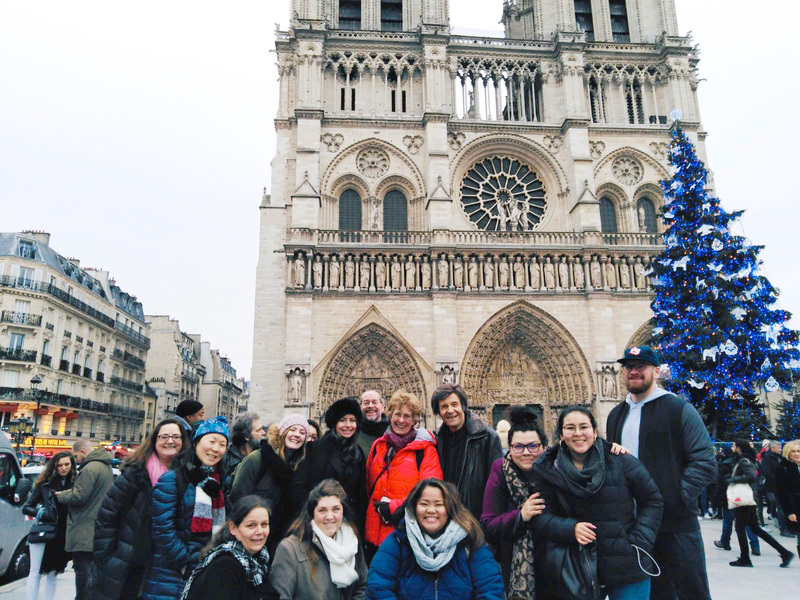 This year, 377 students traveled to all corners of the globe for international J-term courses, which ran for about two weeks during the winter break. (Another 627 took courses in Charlottesville.) They studied business topics in McIntire School of Commerce courses that took them to Asia, Argentina and Australia, and health care issues and emergency preparedness in the Caribbean. Other students learned about the history of diverse cultures in India or explored Tuscany’s culture. Two courses used the work of authors to reveal the worlds they describe, specifically Victor Hugo’s Paris and Yaa Gyasi’s Ghana. McDowell team-taught the course with assistant professor Kwame Otu, who grew up in Ghana. Another course – the first study-abroad J-term course offered by the Bachelor of Interdisciplinary Studies program in the School of Continuing and Professional Studies – took students to “Victor Hugo’s Paris.” Hugo, the author of “Les Misérables,” the renowned novel made into several films and musicals, also was an artist and activist who worked to abolish capital punishment and to preserve historic architecture, including the medieval Notre-Dame Cathedral. In her third year of the BIS program’s liberal arts concentration, Eddy – a Charlottesville native who’s currently working full-time for an investment company – said this was her first time traveling internationally. She found the nontraditional students brought great motivation and energy to the subject. Exploring unusual aspects and the rich history of a locale on another continent also featured in the course “India in Global History,” taught for the second time by professors Mehr Farooqi and Richard Cohen in the Department of Middle Eastern & South Asian Languages and Cultures. For millennia, the Malabar Coast on the southwestern shoreline of India was directly in the sights, as the program brochure says, of Arabs, Africans and Europeans for the resources it offered, including exotic spices, cashews, rubber and cotton textiles. Farooqi added, “Kerala is the only state in India with a communist party forming the government. The students learned how it is possible to have a compromise between communism and democracy. “The course was successful beyond our expectations. Students bonded very well and enjoyed immersive learning,” she said. In contrast, students in a McIntire School of Commerce course visited two well-known cities, Delhi and Mumbai, as well as Dubai in the United Arab Emirates, in professor Suprateek Sarker’s course on “Innovation and Consumption.” Course objectives focused on developing a better understanding of the global business environment and analyzing economic and non-economic factors that affect innovations and consumption in different national environments. “In India, we saw frugal innovation in action; in U.A.E., the innovation initiatives we saw were futuristic, grand and with no obvious financial constraints,” Sarker said. Adam Koeppel, a fourth-year student in the Frank Batten School of Public Policy and Leadership, said, “It was very cool to see some of the Indian factories that manufacture clothing for major Western companies such as Harley Davidson and Timberland.